HARRIS AND SADLER HAVE DONE IT AGAIN! Tai (who is temporarily out of the office) has asked me to contact you and let you know that our esteemed friend and dear colleague Professor Fred Rathjen passed away, apparently of liver cancer, yesterday around 2pm. Member Christena Stephens passed the word to me and Tai from member Brenda Haes. Fred evidently had been under Hospice care for about a week. I know that this is yet another shock to our Association, especially on the heals of the recent news about two other of our giants B.W. Aston and Elmer Kelton. Our Year Book review editor Jean Stuntz sent along the following relating to wishes from the family. Jean has promised to send along additional information about potential services as soon as she hears of something. Fred Rathjen's family wants any memorials to be given to the Forman/Rathjen scholarship which Fred created years ago. People can give online at https://mercury.wtamu.edu/wtfoundation/ or by mail to WTAMU Foundation, WTAMU Box 60766, Canyon, TX 79016, or by calling (806) 651-2070. They can designate the Forman/Rathjen scholarship when they donate. I just talked to Fred Rathen's son Kurt. The graveside service will be at 9:30 am Thursday at the St. Paul Lutheran Cemetery on the Palo Duro Canyon highway in Canyon. The memorial service will be at the Trinity Lutheran Church, 5005 W. I-40 (between Bell and Western on south side of I-40) at 11:00 am Thursday. I'm sure each of you join us here at the headquarters in sending our deepest sympathies to Betty and the family. I will keep you posted and will send a general announcement to the membership when I gain access to the email list. Can you tell me anything about Judge Edwin H. Fowlkes? He was a friend of John Prude's. He had a ranch and a home around Ft. Davis. He named one son after John Prude and another after Dr. Coleman. Any help would be appreciated. See:"History Of Marfa And Presidio County" by Cecilia Thompson. Much must have come from "Marfa New Era" that burned sometime in the 1930's. It is obvious Ms. Thompson has or had some surviving copies. Barker Texas History Center in Austin has a few years of New Era on microfilm. I am sure New Era has articles about the judge, if you can find them. Also search newspapaperarchive.com. Several articles there. Don't overlook Archives of the Big Bend, Sul Ross, Alpine. They probably have a file. I am Joe Sitters great granddaughter, Sylvia. I would also like to receive a copy of the photo of my great grandfather. I would be more than happy to pay for any printing and shipping costs! Sorry I took so long on this, have two books on the burner and it took me a while to find the photo in my files. I am emailing you a jpeg. Joe Sitters is on the left, Jack Howard standing next, unknown person next and Luke Dowe on the right. Photo made in front of Presidio County Court House, sometime before 1913. This is the photo third from the left at the top of the blog. Im writing a chapter about Joe Sitters in my forthcoming book, "More Little History Of The Texas Big Bend" and really need copies of any other photos or documents the Sitters family may have or know of. You must know your Grandmother's full name, when and where she lived to start. Smith can be very hard to trace. Ancestry.com is great for this sort of thing. Maybe John Robert can help. Seems like I remember Big Spur mention Aunt Jettie once. I found your story on line about the old ranch and rail line near Valentine. Do you have any other information on the location. I love the history of the area and I am in search of stories about the area. My "Englishmen, Railroads and the San Carlos Coal Mine" is to be published in the Journal Of Big Bend Studies" in the fall. Also is a chapter in my forthcoming book "More Little Known History of the Texas Big Bend". I recently picked up and read your book Cattle and Dudes... a most enjoyable read. My reason for picking it up was because I am interested in John and Amanda Prude, so I found myself quickly turning to Chapter 4 and trying to learn more about this couple. The reason for my interest is that I am descended from them through their elder son, Claiborne Gentry Prude. I would like to comment however on some of the information presented about John and Amanda Prude. prior to them relocating to McCulloch Co. from Colorado Co., TX. I have spent a lot of time tracking this family between 1850 and 1880 and I'd like to offer some of that information to you as follow up to what you presented in Cattle and Dudes. As best as I can tell John Prude was the first person with the surname Prude in Louisiana (De Soto Par). He is listed as a single man in the 1850 federal census as a laborer in the household of Thomas Weaver. For the last 10 years or so, I have debated whether or not this John Prude was the John Prude that came to Texas. Whether he moved there as you say to follow a relative, I have no idea. A 2nd or 3rd cousin does move to Louisiana and is listed in the 1860 census, but during the 1850 census is located in Pickens Co., AL. The children of this cousin do relocate to Texas in and around Ellis Co. sometime later (after 1870). In any event, John in 1850 is a single man having left his family in Pickens Co., AL to arrive in Louisiana by 1850 and then quickly departs for Texas sometime between 1850 and 1851. In 1851, on Nov 26th, John Prude marries Amanda Jane Maxwell of Fayette Co., TX. Amanda Jane Maxwell is the daughter of Thomas Maxwell who arrived in Texas about 1834. Thomas Maxwell served as a private under William Kimbro during the Battle of San Jacinto and for his services he was given a League and a labor of land which was on the shores of Plum Creek in Gonzales Co., TX. (now part of Caldwell Co., TX). He was also granted 320 acres of land in Fayette Co. for having served in the Texas Army. He sold a quarter of his League and labor to Josiah O'Daniel (his brother-in-law). Josiah died before ever receiving the deed and when Thomas Maxwell died intestate in 1852, the estate of Josiah O'Daniel was suing the estate of Thomas Maxwell for the deed (I must admit here, I don't read legalese all that well, but I think I got the gist of the precedings of the probate court). In Dec of 1852, the wife of Thomas Maxwell, Elizabeth died and it's here we see the first mention of John Prude in the probate records of Fayette County. John Prude is serving as surity for the administrator, George Dismukes, of what is now the Thomas and Elizabeth Maxwell estate. George Dismukes is Amanda's brother-in-law via her eldest (known) sister. So in brief, 1851ish, John shows up in Fayette Co., marries Amanda, and is quickly embroiled in the probate affairs of the Maxwell estate. John appears in the tax lists of Fayette county beginning in 1852 through 1856. By 1859, John Prude is found on the tax rolls of Colorado County. In 1860, The Prudes are listed in the 1860 census for Colorado County. Their eldest son Thomas (presumable named for Amanda's father) has died of typhoid (Jun 1859) and the youngest of the orphaned Maxwell children is living in the Prude household. The enumerator for this census, completely misspells their name as "Boreds". 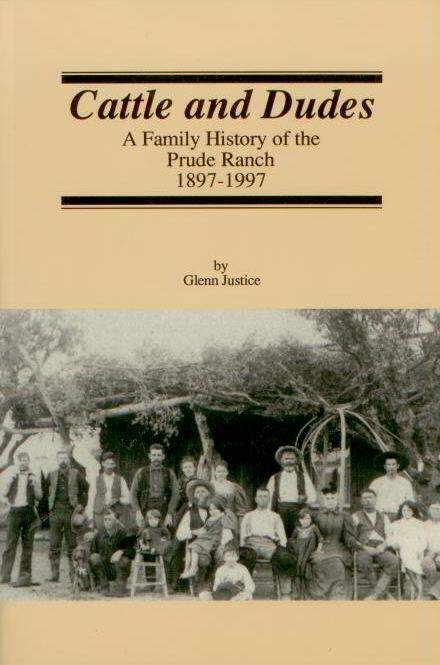 From 1859 through 1878, the Prudes reside in Colorado County and nearby Lavaca county. During the civil war, John Prude and the orphaned son of Thomas Maxwell, Robert G. Maxwell, enlist in a reserve company of the Confederate Army known as the Colorado Grays. Other research suggests that Robert G. Maxwell enlisted and served in the 27th Regiment, Texas Cavalry (Whitfield's Legion) (1st Texas Legion), Co D. Entered as a Private and Ranked out as a Private and promptly disappears from the record. As best as I can tell, the Colorado Grays never saw any action and it's highly unlikely that John Prude did anything other than serve as a militia force for ColoradoCounty. Sometime between 1878 and 1880, the Prudes relocate to McCulloch County where I lose their specific trail to the Davis mountains and southern New Mexico, other than land grants here and there and the gravesite in Weed, New Mexico. In fact I often wondered why Weed? I've visited the site and I can certainly see the appeal of the east New Mexico prairie (Is that still Llano Estacado?). But it never made sense to me why they would leave the Davis Mts., unless it was a second feeding ground. My ancestor, Claiborne Gentry Prude, John's elder son, planted his family in those mountains about 1884 (the time of the big cattle drive) and maintained a ranch southeast of Weed for three generations. In fact, Claiborne's first wife Tennessee Donathan is buried in the same plot underneath that big pine next to Amanda Jane Maxwell Prude in the Weed Cemetery. John Prude died in 1893 and was buried in Mitchell Co., TX. (I presume he died in Mitchell Co., as well.) His stone can be found in the Colorado City Cemetery. Anyway, that's the history as I've discovered it. Most of the documents I used were the probate and tax records of Fayette and Colorado County census and land grant records. I still need to scour the earlier Colorado County records and the Gonzales County records for a few more details, but don't have as much time as I would prefer to do so. I do have two questions for you. The first is in regards to those persons in the Prude picture found on the cover of Cattle and Dudes. Do you happen to know who all the people are? Is the man sitting in the middle with the beard John Prude (above)? Second, is there anyway I can get a decent copy of that picture be it through the Jeff Davis Archives or some other source? My second question is concerned with reference #174 in your text. Where did you get a hold of a copy of that genealogy text. When I was about 15, a copy was shown to me by my grandmother, but it was quickly returned to it's original owner. I have searched high and low for a copy to examine and short of visiting the Alabama State Archives or the Library of Congress, it is not likely that I will ever see that ancient family history book. Is that a book in the possession of the Prude family or is that found in the archives of Jeff Davis County or something in your own private collection? Maybe some day, you might be interested in hearing about some of my other ancestors, in particular the Casners, one of whom served as a Texas Ranger and also served in the Texas War of Independence. He sold his League and labor for a horse and saddle. Palm + forehead. Several members of that family wound up in Brewster and Presidio Counties. My direct ancestors moved west to New Mexico. I believe Andrew G. Prude to be standing fourth from the left in the above photo. Sorry I do not have a better print in my files and the photo had no original captions. The genealogy text mentioned came from John Robert Prude. Suggest you contact him for a copy. Also, I did several oral interviews with John G. Prude and some years ago donated all of my Prude files and the interviews to Archives of the Big Bend at Sul Ross University in Alpine. Perhaps they can help in your research. If memory serves me correctly, you will find some of the tapes mention the Weed, N.M. Prude relatives. John G, John Robert and I made a trip to Weed and the Prude ranch and graveyard where John G. told the story of that branch of the Prude family on the tapes. Not sure if the tapes have been transcribed. (Candelaria, Texas, 12p.m., 5-14-09) A large fire is presently still burning in the Sierra Vieja as aircraft continue to drop fire retardants this morning. The fire, said to have been started yesterday by "illegal aliens trying to block their pursuers." 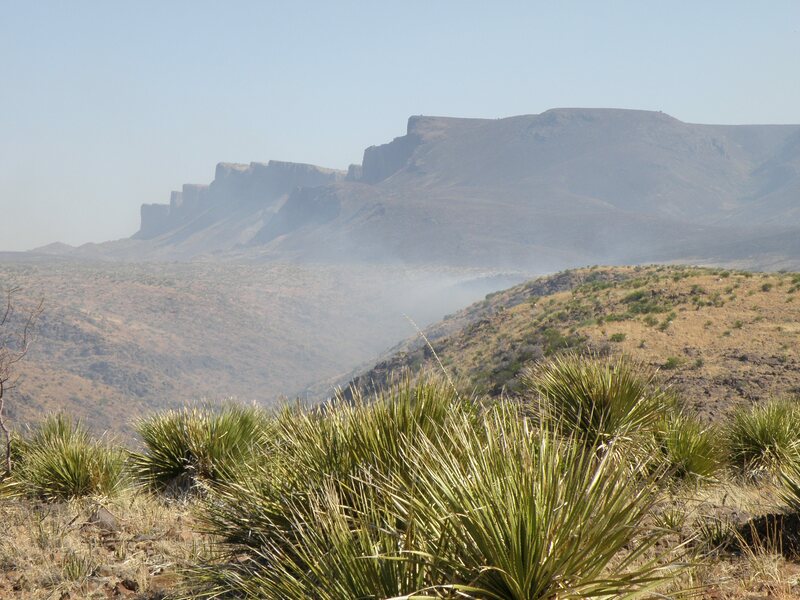 Early this morning the fire crossed over the rimrock heading westward and continues to burn about 16 miles west of Valentine. From below the rimrock, the fire appears to be a little south Viejo Pass and is burning in a fire front perhaps a miles wide as it sweeps over the mountains. Moderate but gusty winds, especially in the higher elevations, are spreading the fire into Musgrave Canyon below the rimrock. The fire seems to be spreading out of Musgrave Canyon in spite of efforts to extinguish it. Atop the rim, firefighters are using larger aircraft and bull dozers to fight the fire. The Presidio Valley above Candelaria is filled with smoke. I approached the fire it started to crest over a hill a few miles away. 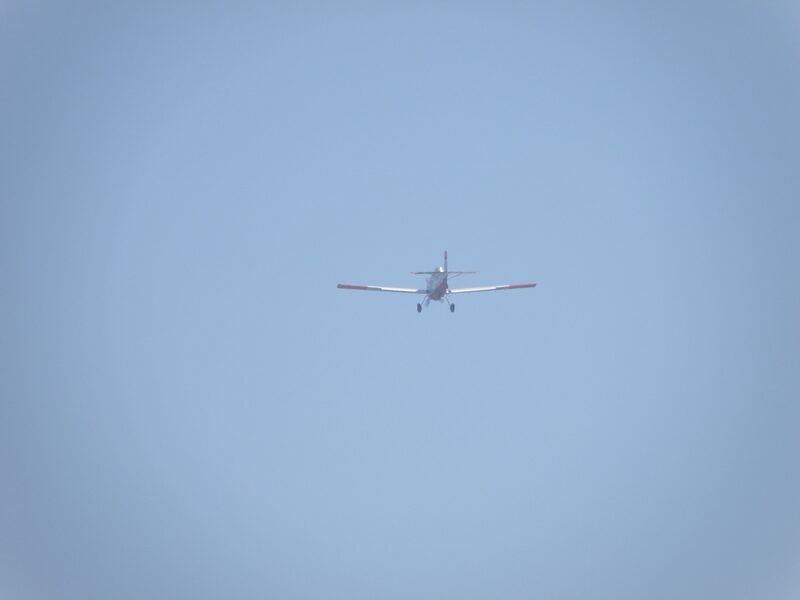 Since the fire was burning in my direction with the wind fanning the flames as two small aircraft dropped fire retardants in the nearby canyon, I decided it best to retreat. I am researching some family oral history which occurred in Presidio, likely in the summer of 1917. I am looking for a newspaper/official account of this event. Can you suggest some directions/web sites? In the summer of 1917, Presidio County deputy sheriff John Fletcher Rawls, a rancher in the Casa Piedra area of Presidio County, Texas was wounded in a shootout in the Anaya Cafe on Main Street in Presidio , Texas. The gunmen were renegade members of the US Army who were protecting the border against Pancho Villa. Rawls, commissioned by Sheriff Ira Cline, of Presidio County, Texas was the only lawman in the immediate area and alone, challenged the band of seven armed men when he discovered them in a back room of the cafe with the waitresses who had been taken prisoner for sexual purposes. The waitresses were daughters of the owner, part of a family that had taken refuge in Presidio to avoid the revolution that was taking place in Northern Mexico, particularly in their home state of Chihuahua. When Rawls opened the door to the back room the shoot out began. Rawls tripped on the step to the room which was raised above the ground floor level of the main floor, and as the shooters ran past him, as he scrambled to get up off the floor, they unloaded their service pistols into him, escaping but leaving the girls unharmed. They were never identified or tried as their identities were never known. Somehow Rawls lived, although severely crippled. After a year of hospitalization with a huge amount of doctor bills, Rawls sold his ranch and moved to El Paso, Texas He died in Austin, Texas Dec 21, 1958. After the revolution, the Anaya family returned to their home in Chihuahua. You published e-mail from Hugh Fletcher in February 2008. He sought more information on a shoot out involving his grandfather in Presidio Texas. I have since spoken with Hugh Fletcher and his son Tyler (of Fletcher's books in Salado). I have done more research into the career of my grandfather, A. G. Beard, a law enforcement officer in Presidio County from 1916 to about 1920. I think the story of Fletcher Rawls and my grandfather are connected, beyond the fact that they were both law enforcement officers at the same time and in the same place, though I'll admit I can't prove it. Written below is what I do know. I won't try to attach or insert footnotes here but unless otherwise indicated, all of my information comes from documents and published sources I have reviewed. I can provide a bit more detail on the events described in Hugh Fletcher's e-mail about his grandfather's brush with death. First, this probably did not happen in 1917. He dates it as during the tenure of Presidio County Sheriff Ira Cline, who did not take office until 1918. Cline served until 1921 after losing the 1920 election to Jeff Vaughn. His grandfather, Fletcher Rawls served both Cline and his predecessor, Milton Chastain as deputy for many years and was certainly involved in the violence of the times. The Alpine Avalanche published a story on October 14, 1914 with the following headline: "Fletcher Rawls killed Marin Dominquez, a bad and treacherous Mexican, at a dance held at the Rock House." The "Rock House" (aka Casa Piedra) was very near Rawls ranch in southern Presidio County. Sheriff Chastain, in May 1917 recommended Fletcher, his brother Tom and his nephew (Tom's son) Jack for "Special Ranger" commissions, which could usually be obtained by having the local sheriff request them from the governor. Chastain cited the Rawls proximity to the border as the reason for their request, and also cited Fletcher Rawls nine years of service as a deputy to him. Governor Ferguson granted the request and all three Rawls got commissions, which allowed them to carry firearms openly, and assist the local ranger company when needed, though they were not on the state payroll. Ultimately these commissions were surrendered when a new governor and new adjutant general took over in the wake of Ferguson's impeachment, and only Tom Rawls bothered to renew. This is probably because the other Rawls received or resumed their commissions as Presidio County deputies and didn't need them. Hugh Fletcher wrote that the incident occurred in the summer. His son Tyler remembered his great grandmother telling him she was in class and was called out and told something terrible had happened to her father. He thought it was during the school term. For reasons I give below, I think they were both correct, and the incident happened in May of 1919. Hugh told me that his grandfather borrowed a new holster from his nephew Jack, before the incident, and his gun stuck in his holster, making it impossible for him to draw his weapon. This explains the lopsided outcome of the gun battle. He also told me his grandfather's interest in the woman in the cafe was not entirely professional. He thought his grandfather, single at the time, was sweet on one of the women who worked there. He asked his grandfather what happened to the men who committed this act of violence against him and was told that they were taken care of by friends, and wouldn't elaborate. On August 5, 1919 my grandfather, A.G. Beard, Charlie Craighead, and Jack Rawls were indicted by the Presidio County grand jury for robbery with firearms, assault to murder . . . [and] threat against life and false imprisonment. My grandfather had been honorably discharged from Jerry Gray's Marfa-headquarted company of rangers in March 1919, and sometime thereafter he took a job as town marshal of Marfa. Charles Craighead, another former ranger, had a long and "colorful" career in Texas law enforcement. He was a son of a former Wilson Co. sheriff, brother to ranger Pat Craighead who lost a leg in the "San Benito shootout" in south Texas that took the lives of a deputy sheriff and ranger. Charles Craighead, shortly thereafter took the life of a Mexican suspect, for which he was indicted and acquitted on grounds of self-defense. In 1915 he was involved in the shootout with members of Chico Cano's gang that took the lives of Eugene Hulen and Joe Sitter. As of May 21, 1919 he resigned a position as an inspector for the Texas Cattle Raisers Association, and the special ranger commission that went with it, to become a Presidio County constable. Jack Rawls was 21 years old, had recently married and become a father. He was the son of Tom Rawls, a prominent Presidio County rancher and county commissioner. His involvement in a violent escapade with two veteran law enforcement officers seems out of place unless, as I assume, it was directed against parties he blamed for his uncle's wounds. But I know very few facts about what caused these indictments to be issued, aside from what is written in the grand jury report. All of the files concerning it are missing from the Presidio County courthouse except a few entries in court minutes, which are summarized below. The incident obviously happened sometime prior to August 1919. The grand jury mentioned that crime, and "lewd women" were a problem in Presidio County. It also chastised local law enforcement officers for taking the law into their own hands, instead of reporting criminal activity to the grand jury. This remark suggests that the victims of the violence were not entirely upstanding citizens. Beard family folklore suggests that A. G. Beard got in trouble for using too much force in shutting down a local business that my 100-year-old cousin has variously described as a "gyp joint" or a house of ill repute. The owners were influential and caused him to lose his job as marshal (the indictment is not mentioned). Could these assaults relate to the Anaya cafe? There is one other tantalizing clue. In ranger force Special Order 21, which announced my grandfather and others were to be honorably discharged in March, they were specifically made eligible for future service should openings occur in the force. By April Gray's company was again recruiting rangers, and it is likely my grandfather tried to re-enlist. I infer this because on May 24, 1919 Captain Gray wrote to his friend, Captain Roy Aldrich in Austin (who would need to approve any reenlistment) a cryptic letter, which said This is on the Q.T. Don't have beard [sic] put in my company until you see me personal. There has ben [sic] something doing out here. After his signature Gray wrote Destroy this don't file it away. I suspect the "something" Gray referred to was the incident that caused Beard, Rawls and Craighead to be indicted two months later. In addition to the indictment, in August Beard, Craighead and other ex-rangers and law enforcement officials became suspects in a July 30th robbery of a Mexican payroll officer of $21,600, mainly in gold coins. No one was ever indicted for this robbery, but the suspects are all identified in internal [federal] bureau of investigation documents examined by historians Sadler and Harris. The other suspects included Sheriff Ira Cline, his brother Buford, prominent local rancher Jesse "Buck" Pool, ex-rangers Boone Oliphant, and Andy Barker (nephew of long time Presidio sheriff Dud Barker). The last three were all participants in the 1918 "Porvenir massacre". If Craighead and Beard did share in the proceeds of this robbery, they would need it for bail and lawyers. Charges were eventually dropped against Jack Rawls. Craighead spent part of this period in Hebbronville where his brother was by now sheriff. After lengthy delays he pled guilty, in 1921 to a charge of aggravated assault. The record does not disclose what sentence, if any, was imposed on him. My grandfather A.G. Beard never stood trial. All we know for certain is that in early 1920 he was still living in Marfa and told the census taker that he was employed as a peace officer. But by the spring of 1922 we know he was working as security for an American oil company in Tampico, Mexico. It is probably not coincidental that the ex ranger captain under whom he served for two years, James Madison Fox, was also employed there. Fox resigned from the rangers in June, 1918 following the firing of five of his men for their actions at Porvenir. Fox held a variety of jobs until he returned to the rangers as a captain in the mid 1920s under the patronage of the newly elected Miriam Ferguson. As noted by Hugh Fletcher, the injuries to Fletcher Rawls ended his career as a Big Bend rancher, but his brother and nephew continued to ranch there until the 1950s. Beard eventually returned to Texas, and in 1923 married my grandmother. He died in 1941 and is buried in Austin. Charlie Craighead resumed a career with the Cattle Raisers where he served many years. He died in Hebbronville in 1951. In the late 1950s the Texas Legislature funded a pension for rangers of their era and both Beard's and Craighead's widows received ranger pensions until they died.